Today’s busy dental practices face a serious challenge: to maintain or increase productivity while ensuring that patient safety remains a top priority. At times, these may seem like incompatible goals. 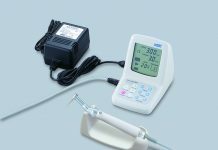 Advances in dental processing equipment, however, have empowered practices to develop safer processes while realising efficiencies and ultimately, saving money. Despite these advances in safer and more robust processes, it is clear that handpieces will only last if they are cared for and maintained in an appropriate way and according to manufacturers’ recommendation. The key to prolonging the life of handpieces are correct cleaning and maintenance routines, and in order to keep up with strict compliance and quality control, it is essential for all dental practices to use proven and reliable care and maintenance systems. There are two main options available for handpiece maintenance and lubrication. The first is manual lubrication delivered in the form of an aerosol spray can, such as NSK’s PANA SPRAY Plus, which is a specially formulated and highly effective general handpiece and air motor lubricant designed to be quick and easy to use for all major instrument brands. However, the problem with modern dental handpieces is that within their construction there are a number of features that are difficult to access, making it almost impossible to sufficiently remove all deposits and residues. Manual cleaning is also time-consuming and can be inconsistant and insufficient cleaning ultimately leads to damage of the instruments. The second and prefered option is automated cleaning. Today, many handpiece manufacturers offer a choice of automated handpiece maintenance units that are fast and easy to use and ensure that even the most hard-to-reach surfaces are cleaned and sterilised, keeping instruments compliant and free from damage. 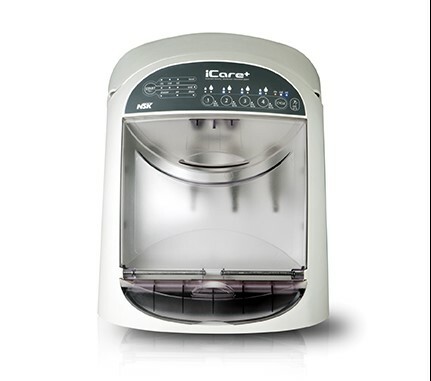 NSK offer a selection of automatic cleaning units including the NSK iCare+ and iCare. 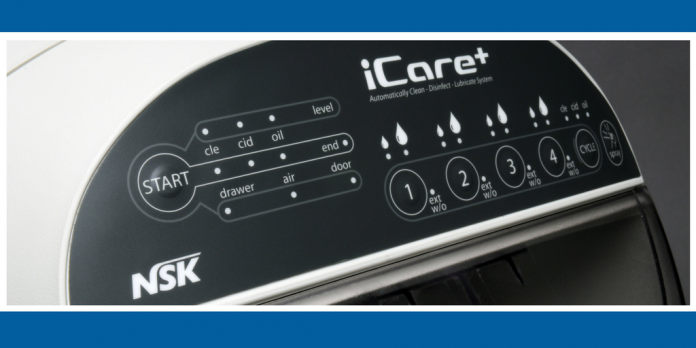 The iCare+ is a fast automatic system that effectively cleans, disinfects and lubricates up to four instruments at a time without the need to use a washer-disinfector whilst still complying with all applicable standards. 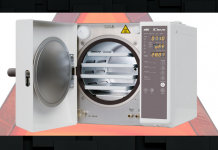 iCare+ rotates the instruments whilst injecting special treatment products into all the internal mechanisms and air and water channels to provide deep cleaning and disinfection, and a pressure spray simultaneously cleans and disinfects the external surfaces, ensuring full compliance every time. The NSK iCare is designed to clean and lubricate the mechanical internal parts prior to autoclaving to ensure prolonged life of all valuable handpieces. For more information on NSK’s care and maintenance range, contact Mark Beckwith on 07900 246529 or visit www.myNSKdecontamination.co.uk. NSK use the most advanced technologies and quality components in all of their handpieces and sterilisation products. 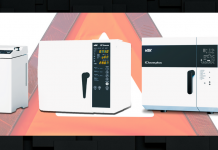 Due to the more gentle thermal characteristics, an additional warranty of six months is provided on NSK instruments for all Dental X Domina Plus B and iClave autoclave users. NSK has created a video guide that gives step-by-step instructions to ensure the appropriate maintenance of your handpieces. To find out more about essential handpiece care and maintenance and earn one hour of CPD, visit www.nskcare.co.uk.